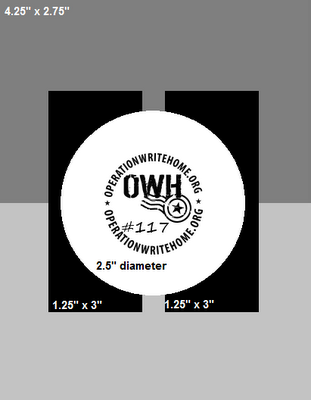 This was a great sketch to use to create a card. Here's mine. The light and dark brown paper is from Darice, plain green CS Bazzill, DP from my stash, image is a digi from Doodle Pantry, plain/scallop circle dies from Spellbinders. Great coloring! Sweet card! TFS!!! Oh, he's so darling! I really love your paper choice! ahhhhhh.. what an adorable card. Oh this is really cute, Cynthia! 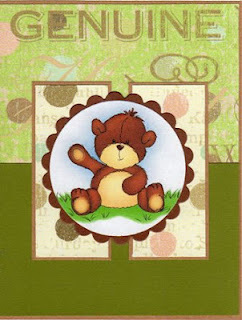 Love that teddy bear :) Thanks for joining us in this week's OWH Stars & Stamps Sketch Challenge! So adorable! This sketch challenged me; you rocked it with this sweet card! This little bear is so darn cute and your card is wonderful! As my posted cards shows, I struggled with this sketch. But your card is perfect! Well done!! !